The S2 single-phase industrial vacuum cleaner from Nilfisk CFM has been designed to meet a wide range of industrial cleaning challenges. 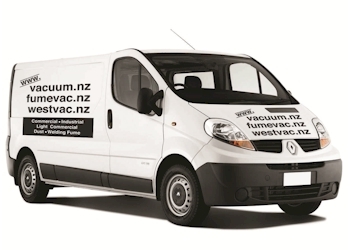 Available in a variety of configurations, this industrial vacuum features strong solid construction and cutting-edge innovations like an electronic keypad with LED indicators that monitor the performance of the main and HEPA filters. 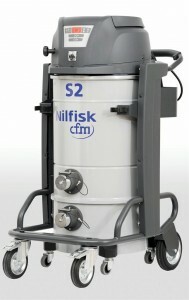 Standard features of the S2 include a manual filter shaker to quickly clean the main filter, an oversized handle for easy push/pull transport, accessory storage tray, cable holder and more. The S2 is available with the Longopac collection system, a continuous bag that can be filled, cut, disposed, and immediately restored for a new use. The S2 can also be retrofitted with a tool caddy to organize valuable accessories in order to meet Six Sigma, 5S or other internal operation requirements. 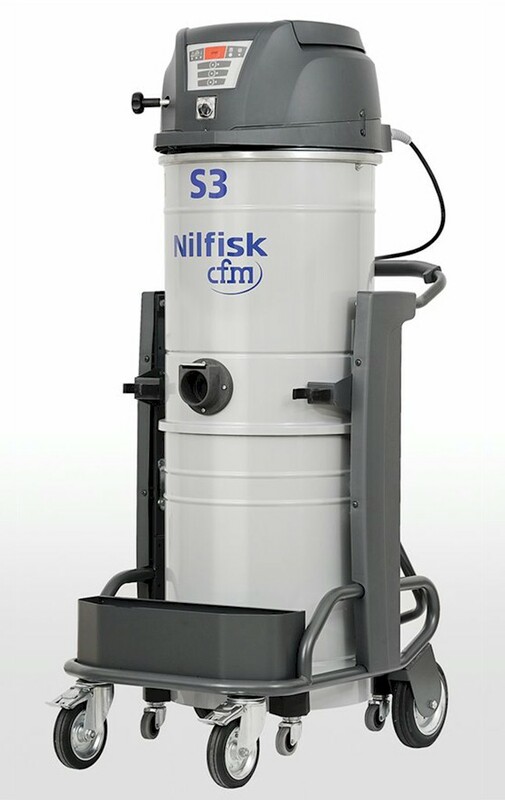 Available in a variety of configurations, the S3 single-phase industrial vacuum cleaner features solid construction and cutting-edge innovations like an electronic keypad with LED indicators to monitor the performance of the main and HEPA filters. The S3 is available with 50 or 100 liter collection capacities and can be equipped with many different features including, liquid or level sensors for automatic shut-off and the Longopac collection system, a continuous bag that can be filled, cut, disposed, and immediately restored for a new use. The S3 can also be retrofitted with a tool caddy to organize valuable accessories in order to meet Six Sigma, 5S or other internal operation requirements. 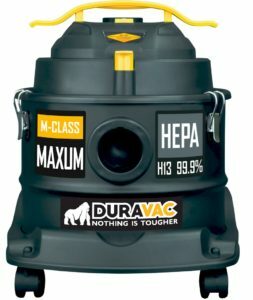 The S3 industrial vacuum was recently named PRODUCT OF THE YEAR in the Industrial Hygiene category in Occupational Health and Safety Magazine’s second annual contest! Click here for a PDF brochure and specification sheet for both the S2 and the S3.